Every morning, as her husband Mike straps on his SIG Sauer and pulls on his heavy Magnum boots, Jamie Anderson tenses up. Then comes the call she has always dreaded: There's been a shooting at police headquarters. Mike isn't hurt, but his long-time partner is grievously injured. As weeks pass and her husband's insomnia and disconnectedness mount, Jamie realizes he is an invisible casualty of the attack. Then the phone rings again. Another shooting - but this time Mike has pulled the trigger. But the shooting does more than just alter Jamie's world. It's about to change everything for two other women. Christie Simmons, Mike's flamboyant ex, sees the tragedy as an opportunity for a second chance with Mike. And Jamie's younger sister, Lou, must face her own losses to help the big sister who raised her. As the press descends and public cries of police brutality swell, Jamie tries desperately to hold together her family, no matter what it takes. 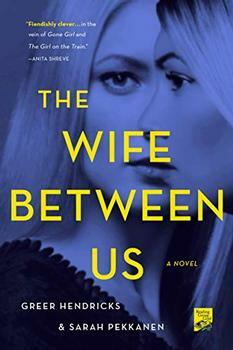 In her characteristic exploration of true-to-life relationships, Sarah Pekkanen has written a complex, compelling, and openhearted novel - her best yet. The information about Things You Won't Say shown above was first featured in "The BookBrowse Review" - BookBrowse's online-magazine that keeps our members abreast of notable and high-profile books publishing in the coming weeks. In most cases, the reviews are necessarily limited to those that were available to us ahead of publication. If you are the publisher or author of this book and feel that the reviews shown do not properly reflect the range of media opinion now available, please send us a message with the mainstream media reviews that you would like to see added.